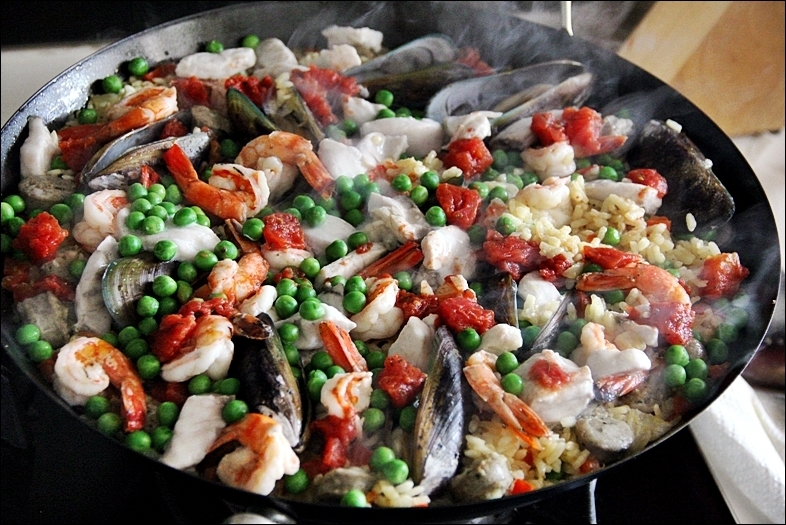 Learn the ropes of cooking the Paella Valenciana like a Spaniard professionally....guided slowly step-by-step!! Best of all, it's only that few steps to follow!! Tedious-free!! Be the master of this dish and envy to many!! 1. Recipes to serving different number of people - just follow it! 2. Why Saffron is needed over other substitutes!! 3. What is the Paella Valenciana by the way? 4. Simple easy to follow and read steps to the cooking process!! 5. How to make the cooking fun and tedious-free!! 6. Guaranteed to work despite the ridiculous low price of the ebook!! It only costs $2!! There is nothing to lose and everything to gain!! This ebook beats all the free recipes out there!! It's an all-in-one stop to guiding you to cook, making you understand the dish-ingredient relationship and clearing all your doubts you've ever had about the Paella Valenciana!! There is no need to start googling for answers to the questions in your head!! Here, flipping about in this simple ebook is all you have to do!! $2!! Unbelievable price isn't it?? It's true and nothing to lose for you!! Guaranteed no regrets so pick up a copy today!! p.s. the Paella Valenciana is a happy Spanish dish!! You learned to cook, you happy, your family and friends happy, we are happy! !